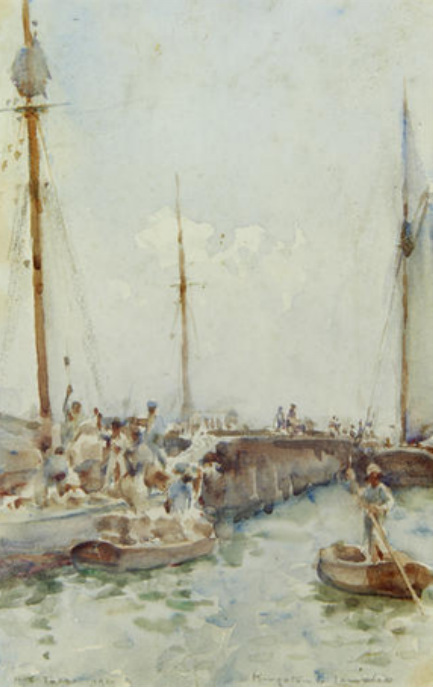 Henry Tuke was born into a Quaker family of physicians in 1858 and started drawing before he was 5 years old. He lived most of his life in Falmouth, England which has a deep natural harbor and thus became an important port for the transportation and delivery of goods by ships, where he also became an accomplished yachtsman. 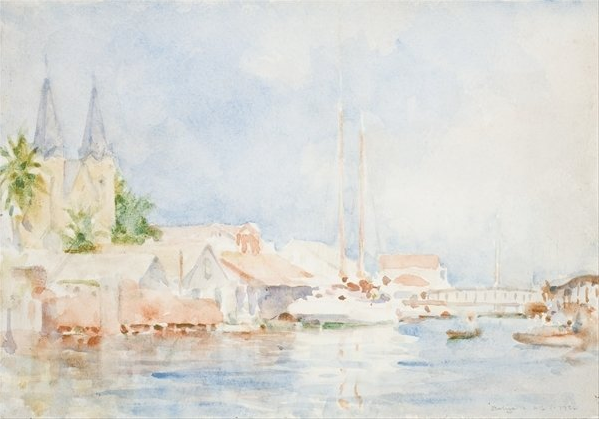 He is known for his Impressionist style painting utilizing both oils and watercolors and produced numerous portraits of society figures, local officials and members of the Tuke family circle and was well regarded as a painter of ships in sail. 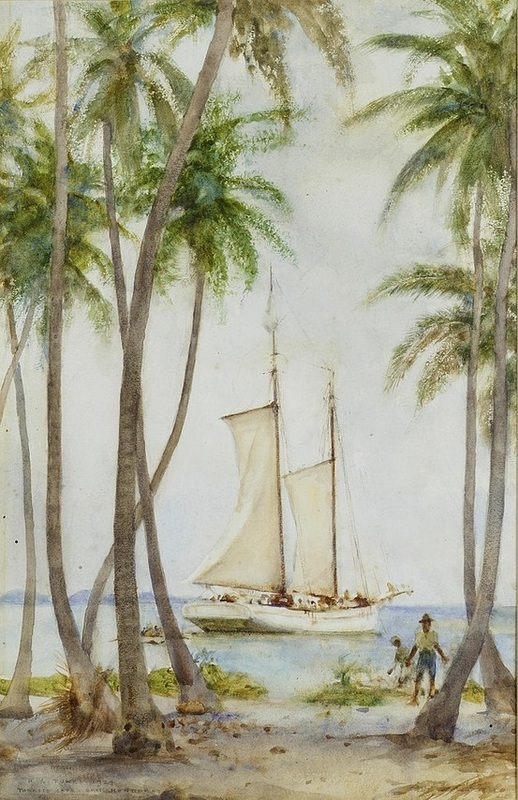 Tuke travelled to the West Indies with explorer Frederick Albert Mitchell Hedges and Lady Richmond Brown, an authoress and adventurer, accompanied by a Miss MacBeth, a cousin of Dr. Thomas Gann, a Mayan archaeologist who later joined them in Belize. 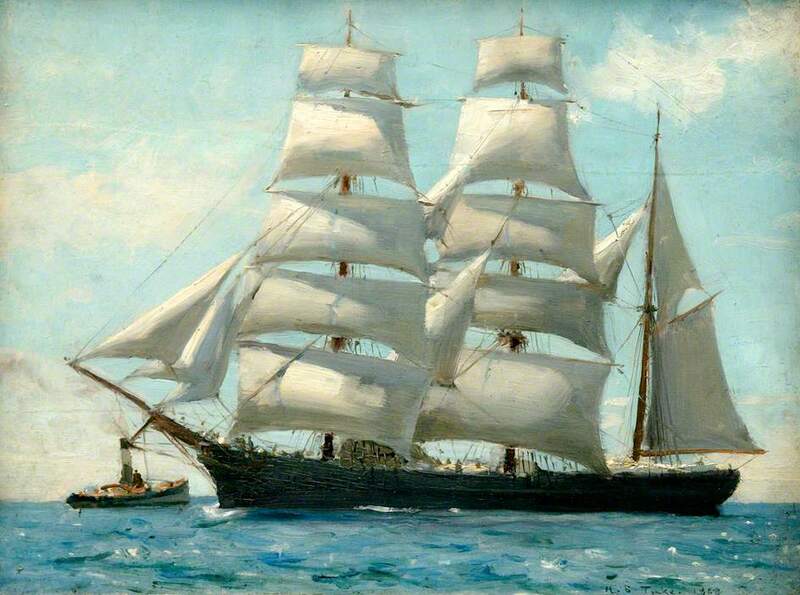 Tuke joined the expedition when the SS Coronado sailed from the UK in November 1923 and returned in April 1924. He kept a detailed diary of his voyage where he visited Jamaica, British Honduras and Guatemala. Hedges later came to "discover" the Crystal Skull in Lubantuun (which Tuke also visited) and proclaimed the Lost City of Atlantis was located near the Bay Islands. 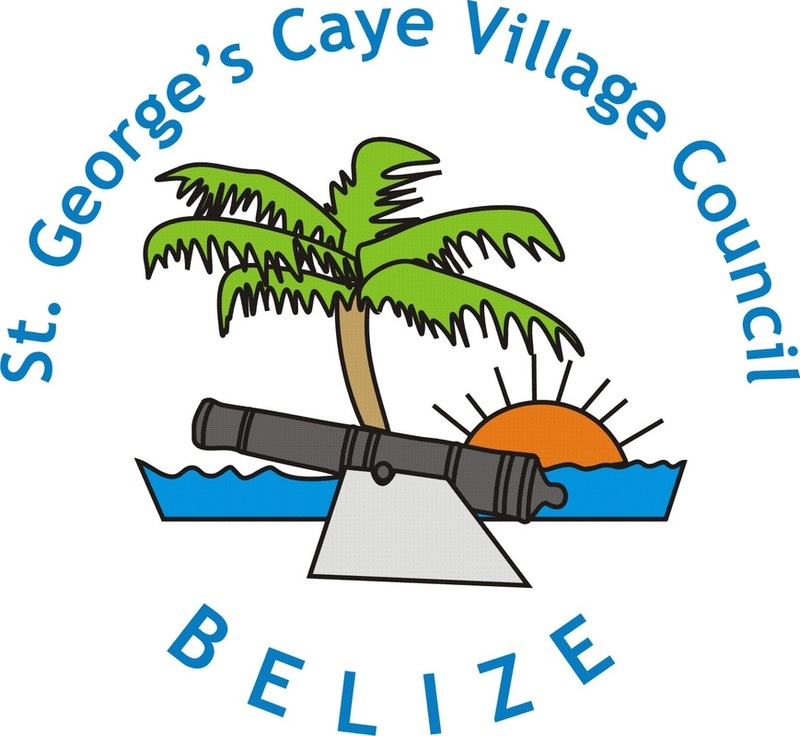 Gann was the first archaeologist to write about historical St. George's Caye in the early 1900s. Three pieces of Tuke's artwork presented below are from Belize: Tobacco Caye, The Market and Belize. 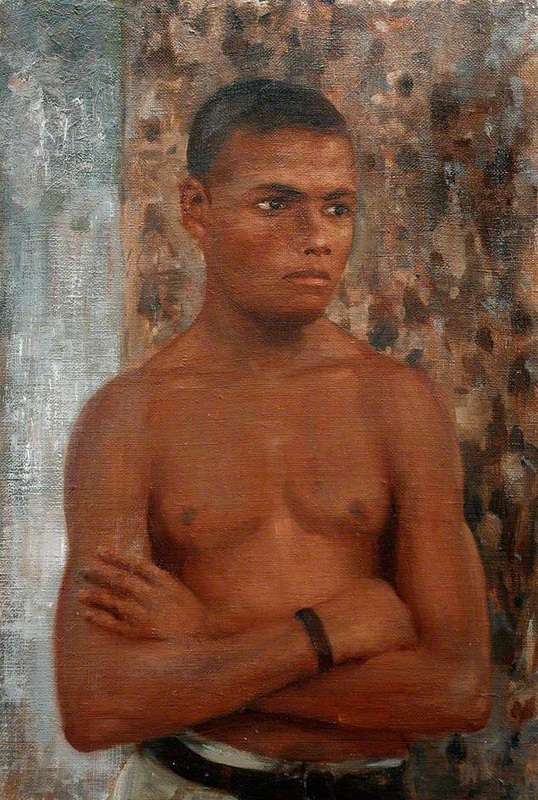 There are very likely other paintings from his trip to Belize, but their location is unknown. 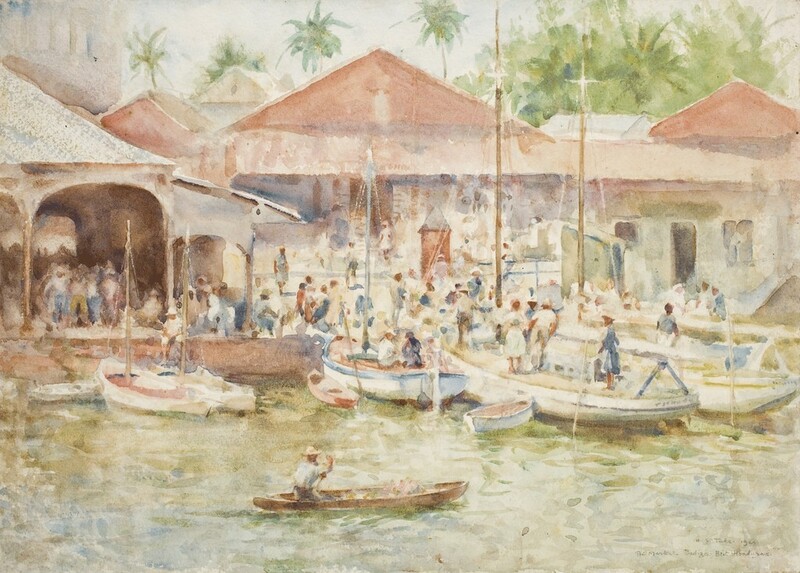 The paintings he did of the ships that came into port at Falmouth are representative of the types that sailed the waters in Belize in the 19th and 20th century. 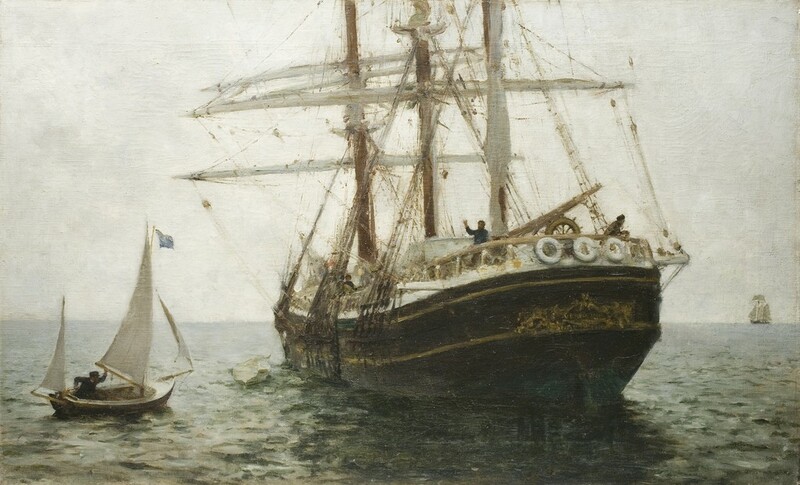 Tukes oil paintings of ships and his portraits are very detailed and lifelike. All artwork presented here is from www.the-atheneaum.org unless otherwise noted. For more details on Henry "Harry" Scott Tuke visit Wikipedia. 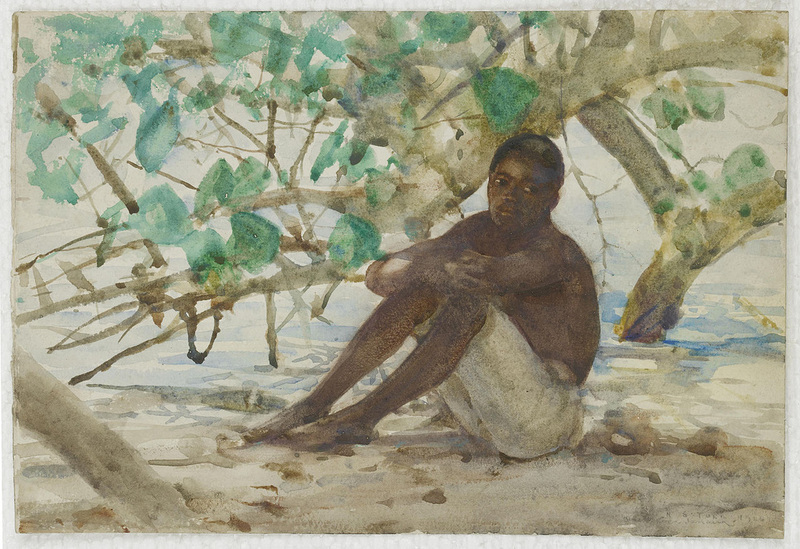 According to Bonham's this watercolor was painted by Tuke on 14 February 1924. He wrote in his diary for that day "Did a small sketch of the wharf with drogha (West Indian coasting vessel) loading barrels." 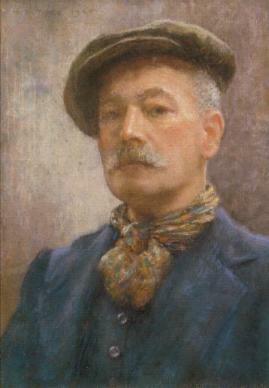 Tuke sold the work for £15 to Mrs Cobb of Kiln Quay in Falmouth when he returned home. Today Bonham's has this piece listed for between £1500-2000. The drogha resembles today's sandlighters, like the SV Radio.